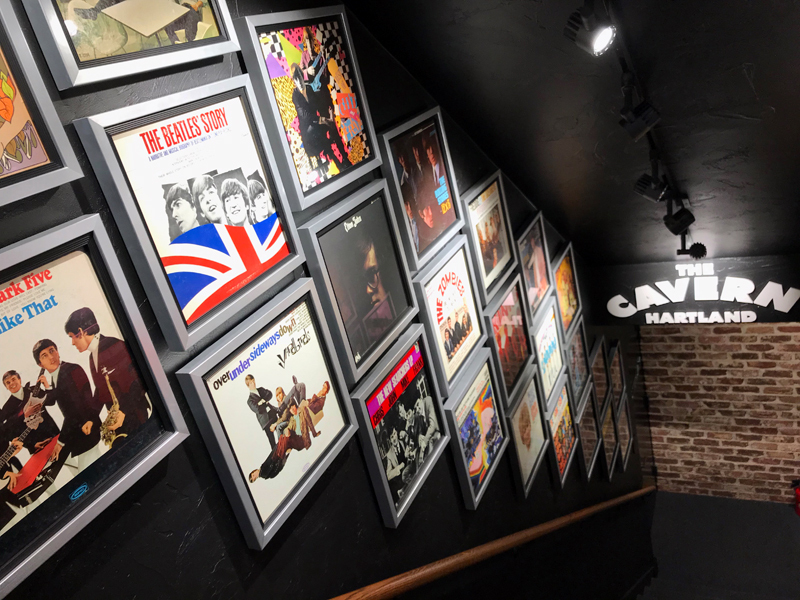 Published Jan. 16, 2018 at 8:15 a.m.
For Beatles fans – or at least this lifelong one – the thought of traveling back in time to see the band in its early days at The Star Club in Hamburg or, better yet, the legendary subterranean Cavern Club in Liverpool is alluring. The Star Club closed in 1969 and burned 18 years later. 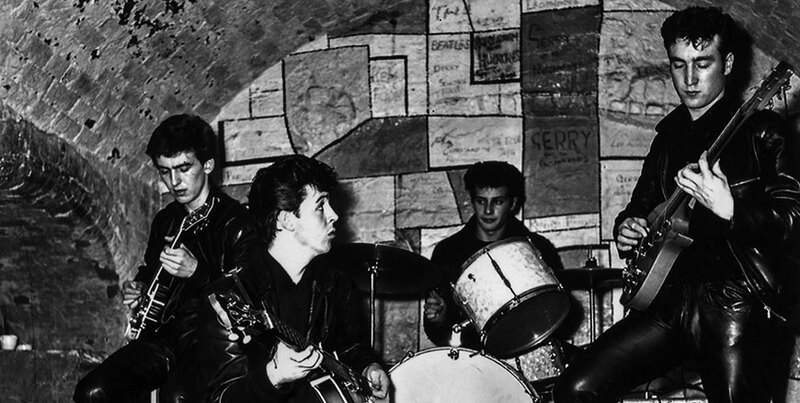 The Cavern – at which the Beatles played nearly 300 times, including their earliest appearance as the Quarrymen in 1957 – was demolished in 1973, its underground arches filled with the rubble from the building above. A replica version was built on the site in 1984 using some of the bricks from its predecessor. 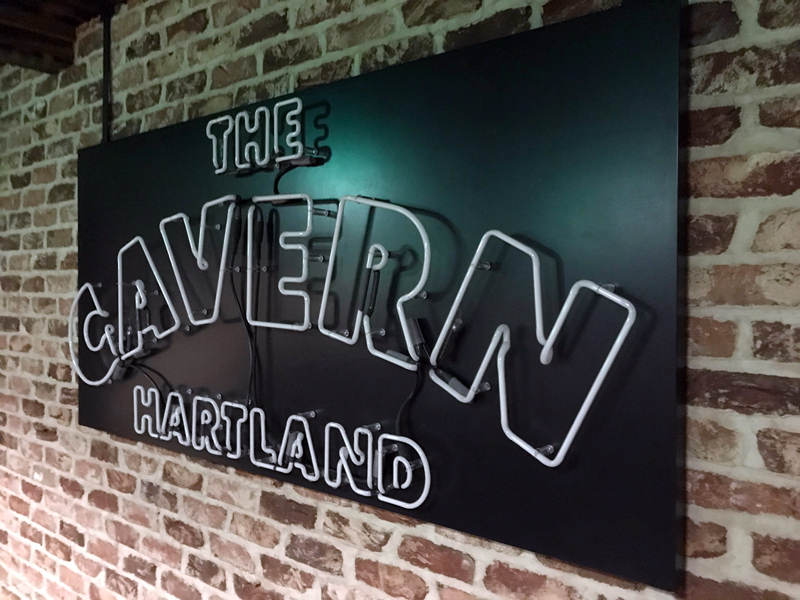 Milwaukeeans might not realize it, but in an unassuming low-slung office building at 510 Hartbrook Dr., adjacent to a strip mall in Hartland, 25 miles west of Brew City, local technology entrepreneur and veterans' rights activist Dave Meister has built his own replica of The Cavern Club, using whatever specifications he could muster. Meister owns Milwaukee-based ISC International, a software company. The result is quite astonishing. The process started when Meister had some empty first-floor office space in the building. "At that time we didn't have tenants coming in," says Meister. "It was a big mess, so we were going to white box it anyway. I kept saying, 'Well, you know what I should do? I should bring my pool table from home and bring it over here and then have a little stage for my son, who plays guitar. ... I'll come over here and the staff can come watch the Packers game. Then, 'Maybe I should add a kitchen in here. And maybe I should do this and that' and then all of a sudden, it got bigger." Meister installed that beautiful kitchen, and then built a jazz club, called Blue Sky, that he hopes will be a venue where music teachers and musicologists can offer lessons and lectures to young people interested in learning to play an instrument and/or learning about the history of jazz and rock. He's created Blue Sky Jazz, a 501(c)(3) non-profit, as a means for making this all happen. 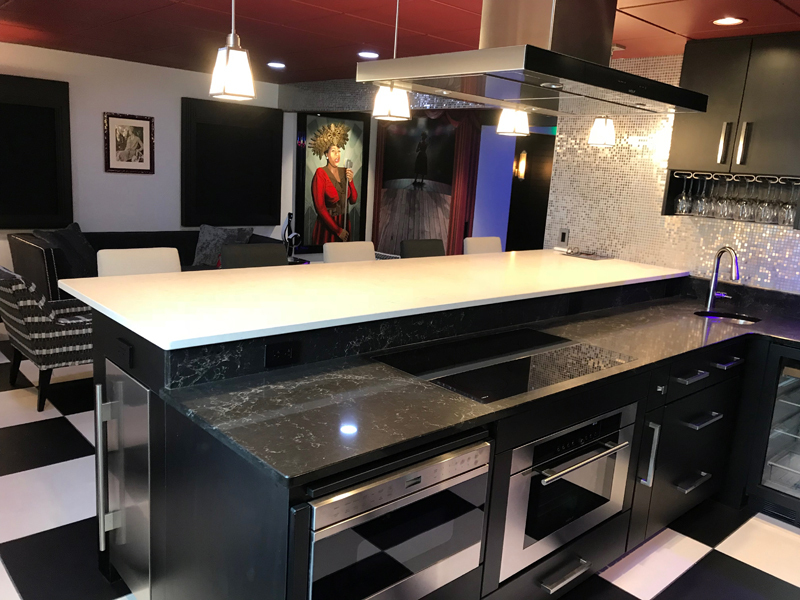 The kitchen and jazz club have great modern features. The decor is lavish and so are the sound system in the club and the appliances in the kitchen. Big screen televisions are hidden behind remote-controlled panels. A similar system controls the window shades. 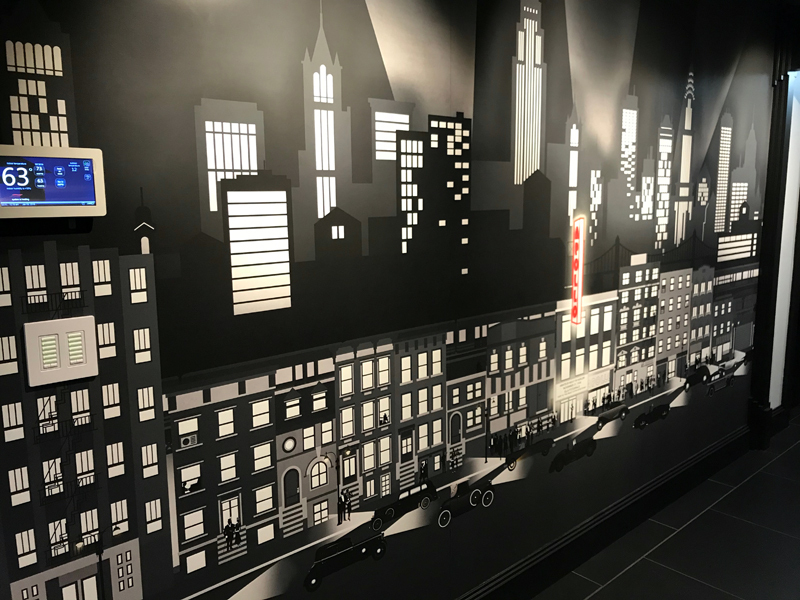 Artwork salutes Ella Fitzgerald and the 1920 jazz era in New York City. "The Jazz Club is for charity events and for students," says Meister. 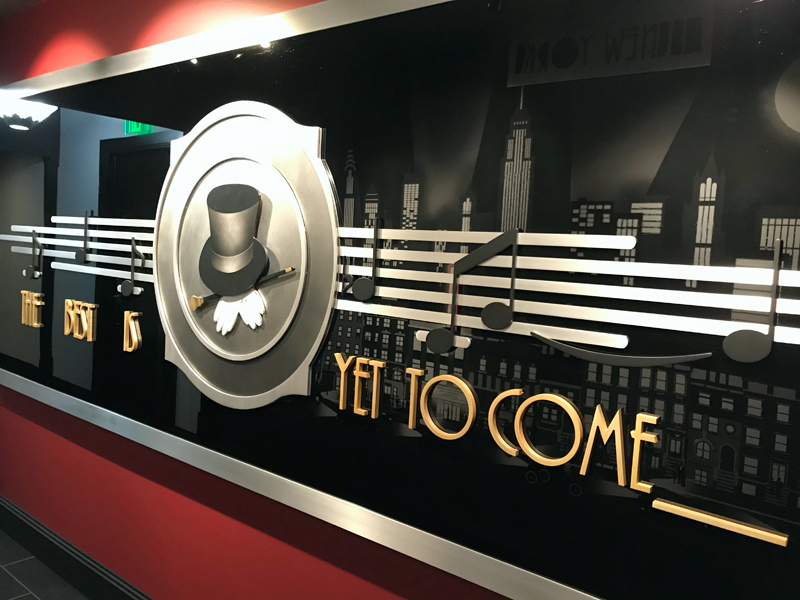 "I want the students to learn about the history of music, and not lose the standards that we have from Rodgers and Hart, and Irving Berlin, and Duke Ellington, and Ella Fitzgerald ... to know about that, to play (those) songs in that venue. The way they played them back then. "And then the same way with rock and roll downstairs," Meister adds. "I thought, 'Why not do the Cavern Club downstairs? What the heck? It would be perfect.' Because it's right below. And that's what it evolved into. I got an architect to draw up the actual arches and vaults. "I got the guitars and I found this violin bass, a Hofner. McCartney played that. (Then I learned about) The Cavern Club. Oh, it's in Liverpool. I started understanding about the history of where they came from and what they were doing. I just started researching more and more and hopefully I got the right specifications for the original Cavern Club that was torn down in the '70s. I found the brick that was close to it, and then I rebuilt it." 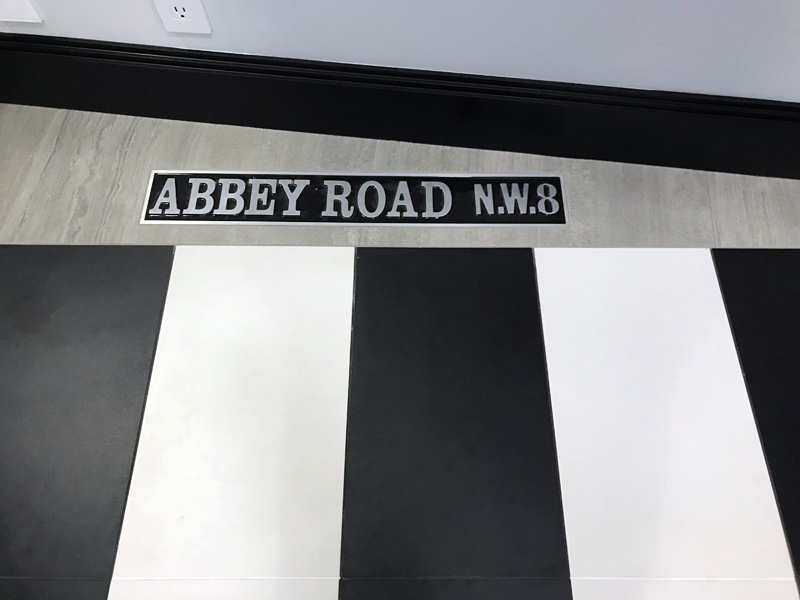 After passing a mural of Buddy Holly, Ritchie Valens and The Big Bopper – musicians who influenced the Beatles – and taking a few steps on Abbey Road, you walk down a staircase, just as at the original Cavern, though this one is lined with British Invasion-era album covers. Then you step into a space that for a long-time Fab Four fan like myself feels so familiar, despite the fact that I've never actually been in the storied club (or even its Liverpool replacement). The stage has a Ludwig drum kit like the one Ringo Starr played, a McCartney-style Hofner violin bass and Rickenbacker guitars, which were favored for a time by George Harrison and John Lennon. There's a "Sgt. Pepper's Lonely Hearts Club Band" bass drum, too. At the back is a recreation of the mural that adorned the back wall at the Cavern, painted by Chrysalis Murals. Hidden in that wall is a door to a small backstage area. 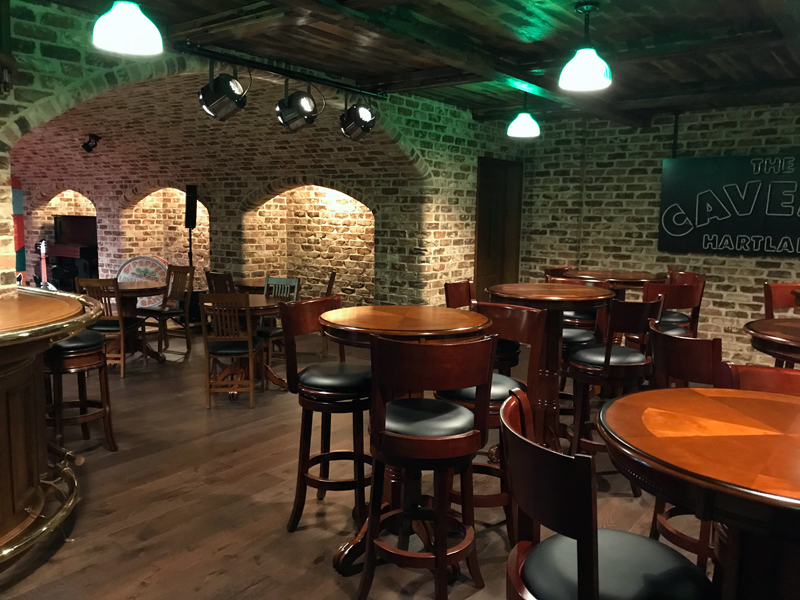 The brickwork is amazing and it extends into other spaces in the basement that Meister is converting into a small French bistro-style kitchen area and a recording studio. How amazing would it be if you had your own Cavern Club? Milwaukeeans may not realize it ... but there is one just 25 miles west. And it is quite amazing! Read the full story on this #liverpool replica in our bio now. 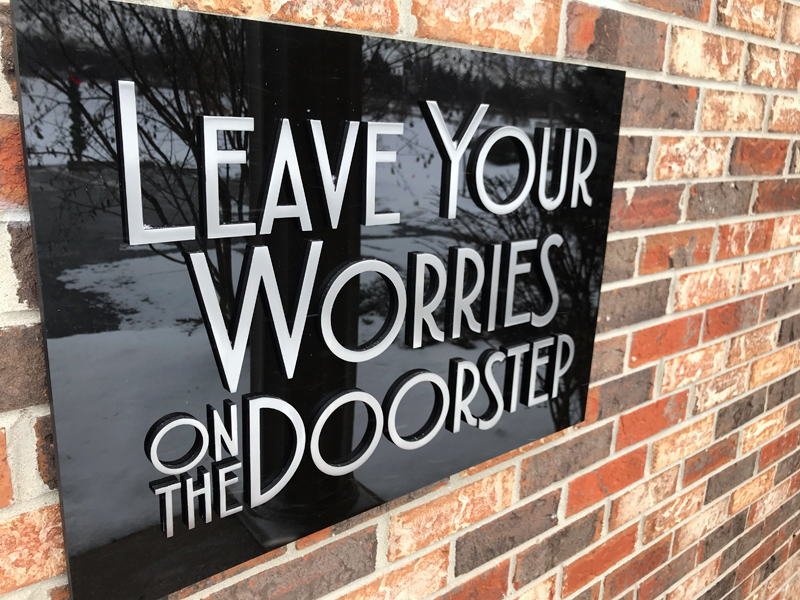 Meister tapped Chicago's Laurence Jones and Watertown-based Trego Architects to design the project, and the masonry was done by Dennis Grimm and his sons Barry and Casey. 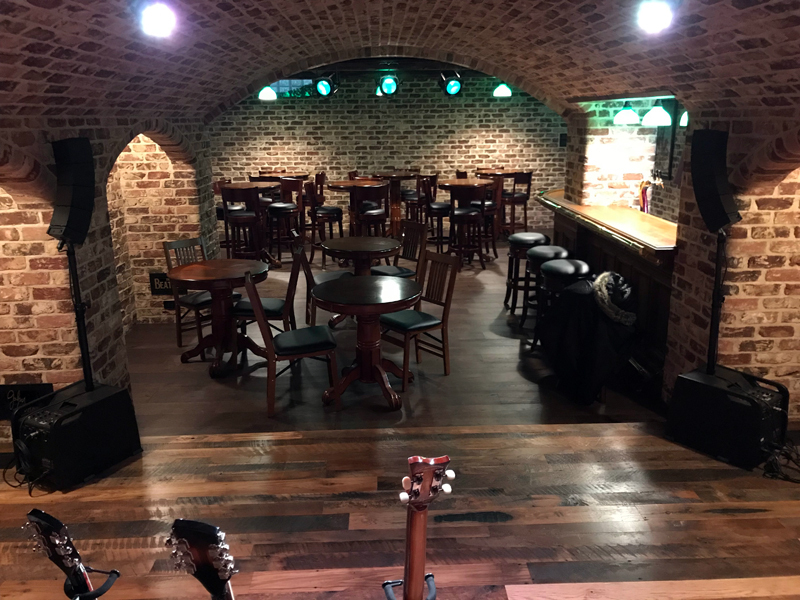 This Cavern Club is a little smaller than the original, Meister says, because of limitations presented by the building it was retrofitted into. "I researched the specifications available to me and I went by those specifications as true as I could," he says. "I couldn't get the height exactly right. I was limited by the trusses in the basement. The width had to be proportioned to what the height is, so it's a little bit smaller." 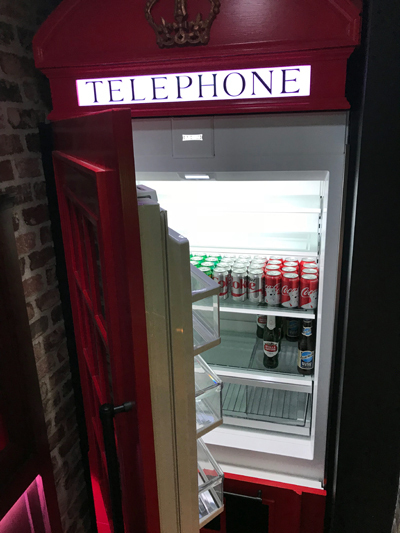 There's a bar along one side, which has a fridge that looks like an old British phone booth, and bar tables fill the dance floor. There are lights nestled in the arches to create an evocative mood. Though Meister has never visited the Cavern recreation in Liverpool, he hopes to get there soon. "That's on my list," he says. "And hopefully next year, I think in August they have Beatles week out there. I'll take my sons along with me if they want to go." 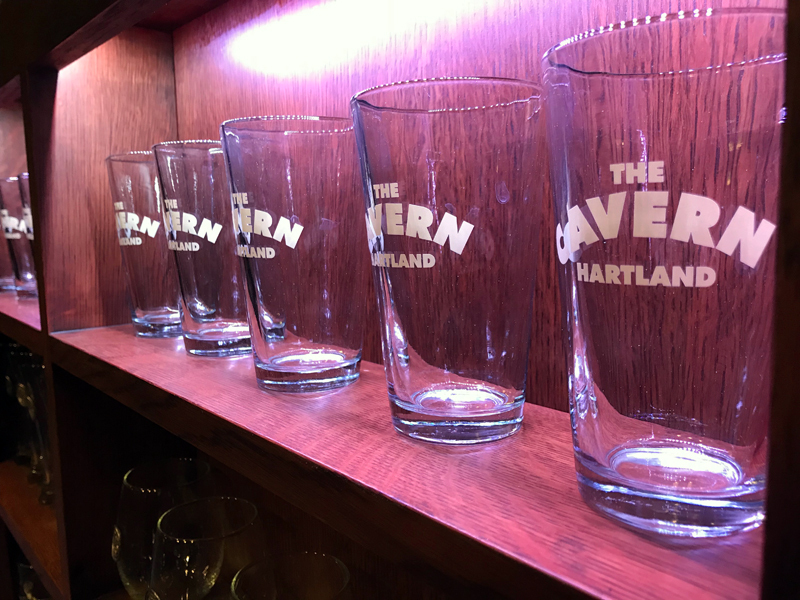 Another goal of Meister's is to get McCartney himself to visit. The former Beatle has visited and performed at the recreated Cavern Club in Liverpool. "If he understands what we've got here, he might want to just come here. Not for a performance or anything." To that end, Meister passed along photographs of the place when he met McCartney's guitarist and drummer Rusty Anderson and Abe Laboriel Jr. But, of course, Meister's bigger goal is to share the space with non-profits and raise money to fund programming for aspiring young musicians. Though he's clearly shown his commitment by creating these remarkable spaces, he says he can't do the rest alone. "I don't expect them to donate all their time and everything to do this, but if they have a passion for doing it, we can get people that want to support this, to come in and pay for that. Then scholarships come from that, too. If you've got students that are really passionate and talented, they need scholarships." 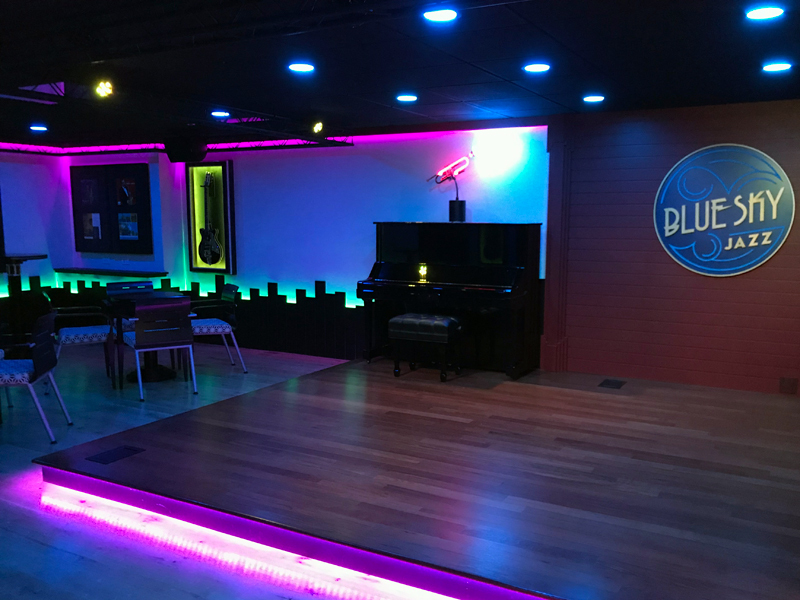 In the end, Meister hopes that his Blue Sky Jazz Club and recreated Cavern Club will inspire young people and fuel their passion for music. "And even if their dad says, 'Be an electrician, be a plumber, be a doctor, be a lawyer,' but they've got a passion for music. Okay, do it. Because you only live once in this life, and that's why (I) say, 'As long as you believe in yourself, you can go as far as your dreams.' You have to believe in yourself to get going, but then you have to have people that believe in you, too."